(grammatical note: It is considered poor form in the veld, to pronounce the ‘s’ when referring to any plural of game. For example a herd of elephant not elephants. The reason for this practice has been lost but it is thought to be aesthetic rather than practical). 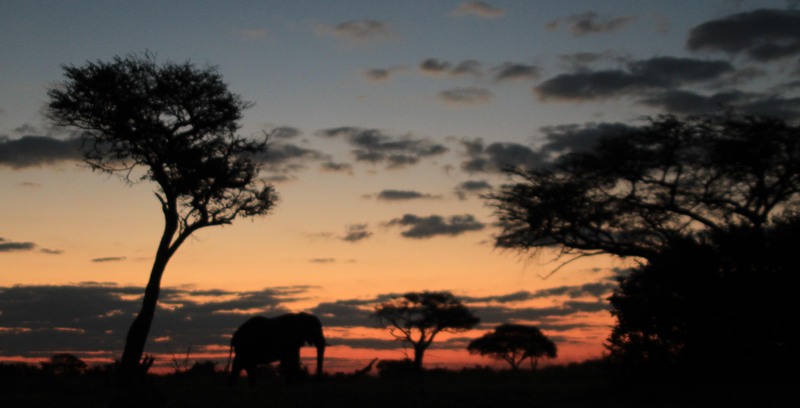 Hwange national Park is the Zimbabwean slice of a much larger wilderness that rolls across northeast Botswana, all the way to the lush Okavango Delta and the Kalahari Desert beyond. It is divided into various parks and reserves spanning thousands of hectares but there is rarely a fence, road or settlement to mark the divide. The main national parks have a reasonable track network, often a flash headquarters and a string of game lodges and hotels. However these pockets of civilisation seemed few and far between as we meandered around in our self-sufficient land ship. Tanzania, Malawi, Mozambique and Zimbabwe had a wilder, less developed feel to Safari industry that suited us fine and we were able to avoid most of the tourism (and more importantly the tourist prices) whilst being able to live in the way we had become accustomed. The sun rose as we slowly trundled on to the next water hole; one spotter with binoculars, clinging to the roof at all times. It was the dry season and the animals were concentrated in an improbably close proximity to water. Zebra merged together and divided across the grassy clearings. Impala waited, coiled and twitching with tension, ready to explode away from predators (or more often false alarms). 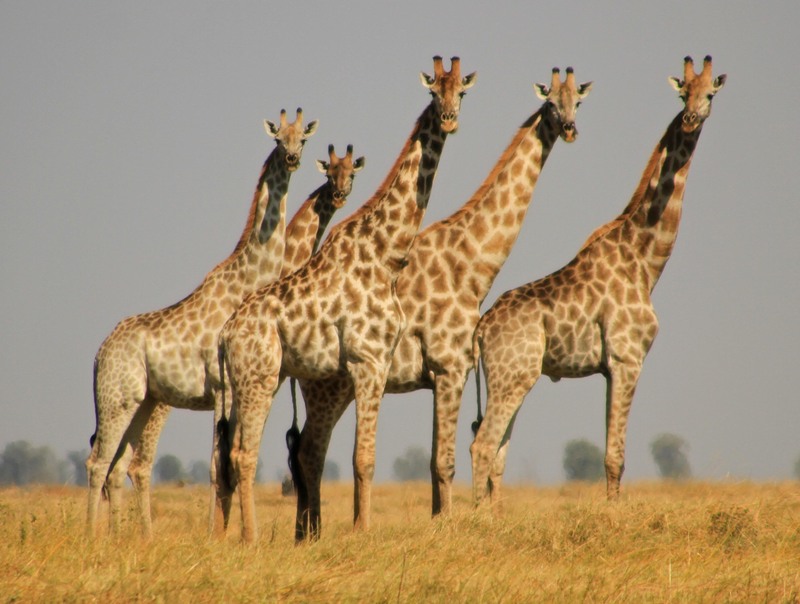 Giraffe stood hesitantly, away from the action like awkward teenagers at a party. Giraffe and antelope were my favourites; giraffe because they were a photographer’s best friend, always around, posing elegantly (albeit awkwardly) to complement the landscape; antelope because of their great variety and beautiful variations. One thing that struck us however, was how many elephant there were. Even if you think they are big, they are bigger than you think. They startle easily especially at night, which must be a hangover from when they were prey. They are however quick to overcome this ancient instinct and remember how big they are. They can then become quite aggressive in order to save face. Each day we would gradually re-acclimatise to these leviathans only to be re-amazed the following morning upon sighting the herd. Apart from the odd trumpet and crash, they were remarkably quiet, their great feet padding softly into the dust as they strode through the bush. More than once we found ourselves waiting static as the herd moved around us, or worse backing away frantically when our proximity was challenged by a raised trunk and a feigned charge. I had been brought up to think of these intelligent, family-focussed creatures as on the brink of extinction from mankind’s insatiable desire for piano keys. However since the Ivory ban, the population in the Zimbabwe/Botswana region has skyrocketed to over 100,000 in the area. Elephants’ second biggest killer after gun (note no ‘s’) used to be thirst. However the game reserves now keep the watering holes artificially full throughout the drought. Unlike Rhino horns that still support a thriving black market, the demand for Ivory has dried up. Dead elephant tusks are still collected however, stacked in huge warehouses. 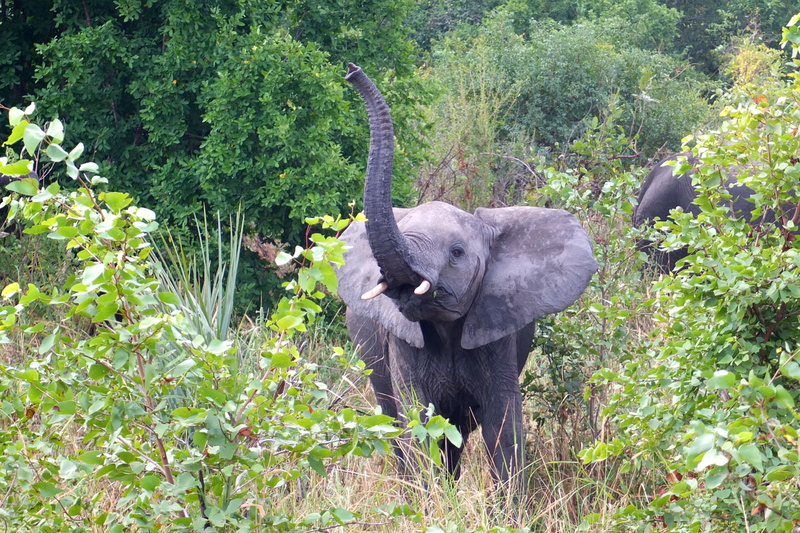 Elephant are incredibly destructive, ripping apart trees to meet their food requirements. Whilst this is seen as a natural process of forest regeneration the increasingly arid landscape is showing signs of strain, with the prey base of other herbivores diminishing. The herds are no longer so prone to migrate in search of water and give certain areas a rest. It has been suggested that a measured return of the Ivory trade might be beneficial. Admittedly the problem is more one of elephant distribution. Many parts of Africa such as Mozambique have lush forests but no elephants, civil war and the ivory trade wiping them out entirely. Past attempts to re-locate young elephant has lead to problems in the complex structure of the herd. The relocated youths become delinquent, over-aggressive or depressed and cannot function as a herd without good role models. Among the elephant, we also encountered one of the cruellest and undefeatable scourges of the bushveld: The Tsetse fly. We had already encountered the ‘sleeping sickness’ that they spread during our time in Uganda and had heard how cattle tribes throughout Africa actually plan their nomadic migrations to avoid the summer swarms. My first encounter with this armoured daemon, capable of penetrating elephant hide, was as I sat as lookout on the roof. I felt a sharp, lightening sting between the shoulder blades. I struck wildly and repeatedly at the site of the pain, only to watch the assailant cruise off into the dusk. Another flash of pain on the thigh signalled that we were under attack. Underneath me the car lurched as Dan, our driver sustained multiple bites. You can keep tsetse flies at bay if you are vigilant and don’t let them land. When they get into the car however, you get a real problem. Hitting them with a book just won’t do it and once trapped in the car with you they will continue to render you with bruising bites until crushed between two hard surfaces. Despite the occasional airborne assault, we were able to explore the park with little hindrance. We were very lucky in one particular gamble, to abandon the elephant and tourist infested watering holes and go for an evening cruise to a far flung corner of the park. 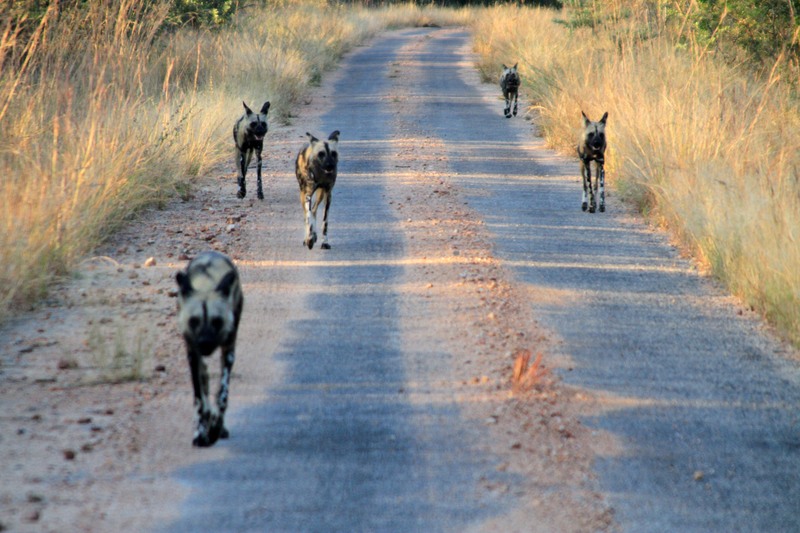 As we drove along a disused track we were met by a pack of the elusive African wild or ‘painted’ dog. 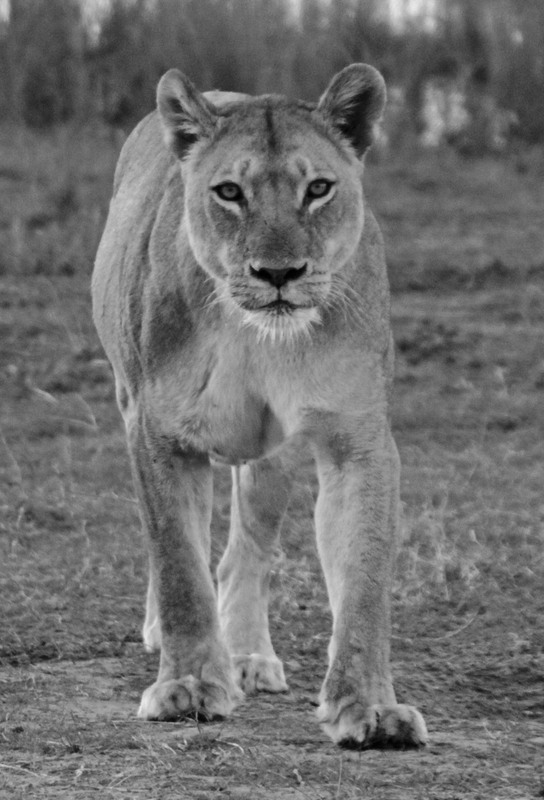 The rarest of Africa’s predators, Hwange is one of their last refuges. Built for distance, they skipped past our car, stopping only briefly as if to ask which way their chase had run. I realised how much I missed my dogs back at home. As night fell, we were also lucky to follow an extremely large, male leopard who peered out of the long grass and sauntered along the road. Much to our annoyance he was startled by another vehicle that came careering around the corner beeping its horn at us. In a second he had vanished into the long grass. This breach of ‘Leopard Etiquette’ was unforgivable. Our greatest spot however had been lazing out on the grassland earlier that day, by a water hole, sitting in a Land Rover Defender. Leo, a French Zoology postgraduate, was peacefully filming a herd of Zebra in order to test the evolving hypothesis that their stripe patterns are associated with different behavioural characteristics. 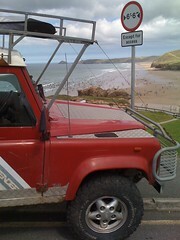 We pulled up alongside him and introduced ourselves as the herd scattered. Over a coffee in the observation platform, he invited us to come to the research complex for a Braai and some beers after our safari. That night we turned up at a small gathering outside the researcher quarters. There must have been about twenty people living in something between student accommodation and a safari camp. We sat around the fire outside and introduced ourselves. Apart from living in a commune in the heart of Africa, these exciting characters all had great projects. We heard detailed accounts of recent Water-buffalo migration habits and watched the position of all the electronically tagged Lion on a Laptop screen. “You see this one, a young Male without a pride,” Stephen, a tall and easy gamekeeper explained. He sat with a beer in one hand and his two year old son in the other. Big game hunting, including lion is still legal in Zimbabwe, albeit in a regulated fashion. It costs about $60,000 to go on a lion hunt. Local Guides try to follow strict rules on which lion can be killed so as not to disrupt the complex social order of the pride. Older males who have been driven out by rivals, or younger males yet to prove themselves are the main target. However, f somebody has forked out $60,000 to kill a lion, they expect to kill a lion. Descended from generations of white Zimabweans, Stephen was from another world. He knew the movements and behaviour of every animal in the park and had a story for each. Any gamekeeper in Zimbabwe still has to demonstrate that they can effectively cull an elephant for their CV to be accepted. 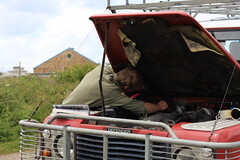 When we first arrived he was telling an amusing tale of how one of the gamekeepers had been surprised when a lion badly mauled the hunter he was guiding. He had neglected to load is gun and in the panic of loading fell over and fired the gun into the air. Fortunately, the hunter survived. We stayed up late and added a few of our own stories to the mix. Leo was living in a circular hut and we all eventually piled into it. Huge spiders crawled out of the thatch and across every surface. We were so exhausted however, that we sought refuge in sleep. We simply lay still and tried not to think about what would crawl over us in our most vulnerable state. This fatalistic approach to sleeping was becoming a common theme. The next morning we left for Victoria Falls, only half a day’s drive away on good roads. We arrived in time for lunch in this tourist honey spot. For the first time since Malawi, we were back in a carnival of backpackers and bus tours. 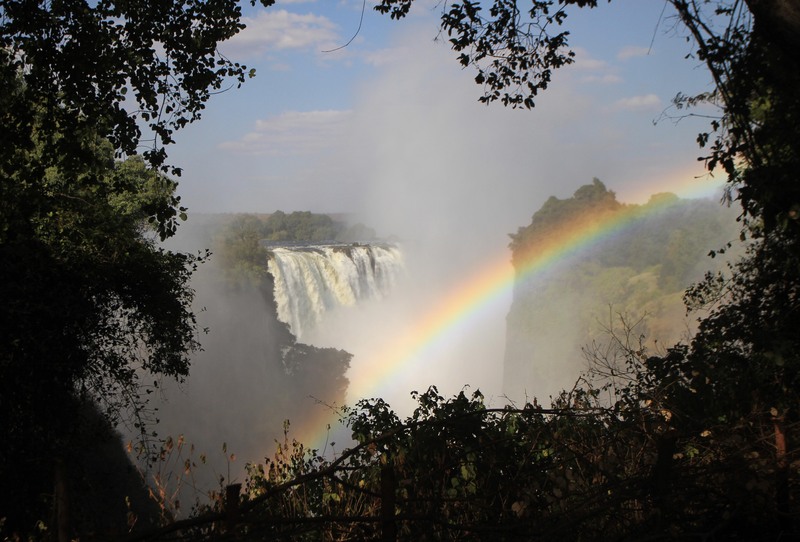 The Zimbabwean side of the falls certainly has the most classic views of this thundering, misty spectacle with regular rainbows and unpredictable showers of spray to drench the unsuspecting. A thousand miles upstream in Angola the rains had put the falls into spate and the noise was incredible. A statue of Livingstone, stern and sure, looked out over the rocks and churning water that stretched to the distant borders of Zambia. Despite the deafening rumble, we decided to record a song (more accurately a music video). Finding a clear backdrop in between tour-groups was a challenge. We decided to go with ‘down by the riverside’ and set up the camera and microphone. After a few re-takes, we managed to belt out the song. A crowd of Japanese tourists gathered to film us, assuming we were part of the tour. We sheepishly accepted their applause. For the rest of the day, as we explored the slippery cliff-side of the great gorge, we were continually photographed and congratulated. This was to be our last day in Zimbabwe, a country that had given us far more to behold and far less trouble than we had anticipated. We spent the evening, as is often the case in traveler hotspots, with that day’s passing friends and the following morning departed with the increasingly unfamiliar feeling of a hangover. It was to be the beginning of the last wild and changing run through Botswana, Namibia and down to Cape Town. 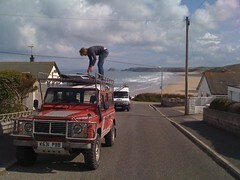 We’re pretty excited that the Royal Cornwall Hospital have asked us to exhibit photos from the trip in the hospital. We’ll be exhibiting a small selection of shots from Monday 6th October for 3 months, with a full selection of over twenty images being displayed in January. The photos will be on sale, with all proceeds going to our partner charities.